Best Car Repair Garajes in Pune Different types of oil and other fluids in your car. 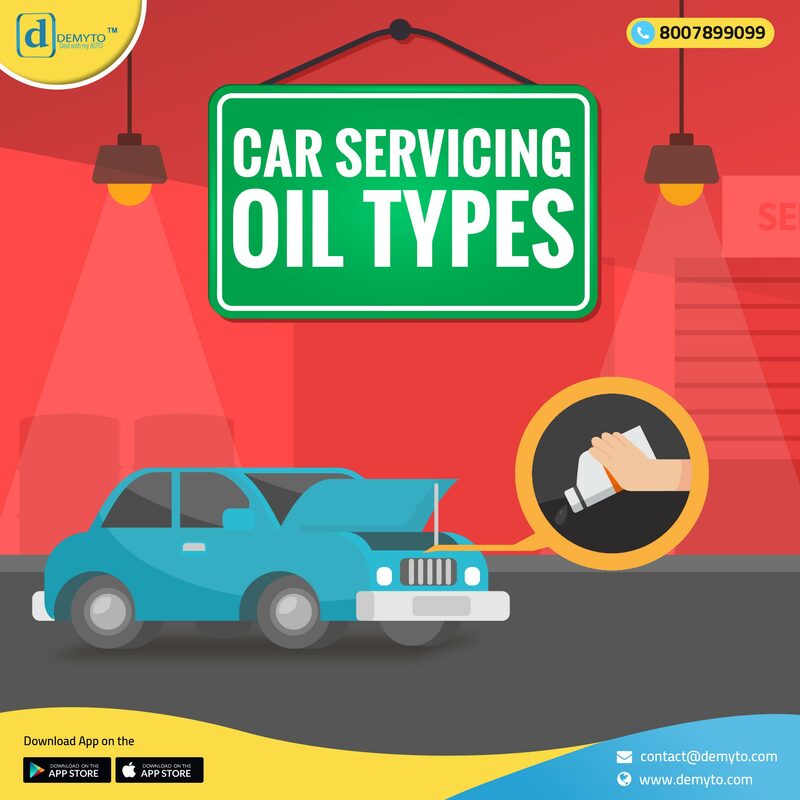 This 'DID YOU KNOW' content can be surprisingly interesting if you do not know that your car needs different types of oils and other fluids. Do you know all the mysterious fluids that can make a car run and what if they need our attention too? Definitely yes, all the maintenance needs attention even if it is different types of oil changing. Here's some breakdown of all types of car fluid that keep your vehicle run smoothly. Motor oil! How does this actually work? Changing of oil is the most common thing a mechanic does but do you know what has the oil ever done for us? It simply lubricates the engine. There are so many moving parts under your hood, oil reduces the friction and prevents the engine from overheating. The lubrication also prevents the rust by blocking the oxygen from getting to the metal. If the oil performs hard enough, the oil traps the dirt and other particles, leaving them behind the oil filter. There are two types of dipstick under the hood: one to check motor oil and the other to check the transmission fluid. Transmission fluid performs same as the motor oil, like lubrication and cooling. As transmission fluid moves through an automatic transmission, it gets pressurized, which provides the hydraulic power needed to perform the transmission’s basic functions. Too much of technical terms? Well in a simple way we say that it helps in shifting gears. If there is a debate on the whole freezes vs. no freeze, where does antifreeze stand? Antifreeze has nothing to do with the freezing of the water. It does not freeze the water but prevents the water from freezing in the winter season. With the same concept, the antifreeze prevents the water from boiling in the summer, therefore the other name being coolant. Washer fluid is just water and coloured soap, isn't it? Not at all. In fact, washer fluids combine several chemicals in order to perform services which soap and water alone couldn't do. Standard washer fluid includes methanol, which can break down bug guts, as well as ethylene glycol, also common in antifreeze, to lower the freezing temperature of the washer fluid. What if even my brake has fluids? It is the same way the transmission fluid works. The brake fluid pressurized and provides the force that activates the brakes. When you push on the brake pedal, it engages a plunger in the master brake cylinder which forces the brake fluid through a series of tubes and hoses and then into a braking unit of each wheel. It seems like a very slow process but once if anyone had to slam on the brakes, we know the fluid moves faster! Does power steering fluid truly give you power? Yes, it does. In the same way, other fluids in your car, power steering wheel fluids provides lubrication for the steering gear and makes it easier to steer the wheel. When you turn the steering wheel, a small opening allows pressurized power steering fluid to move in and help you change the direction of the front wheel. Now if this is no power then there must be some other definition of power. When you are aware of all the fluids for the better performance of the car, ask your mechanic to check all of them for a better picture!